Originally posted on Aug. 4, 2014. Updated and reposted on Sept. 5, 2016. Awhile ago I wrote about Mapping the Mushy Middle of a story. This is a plot-centric approach to figuring out one’s story. However, story is a two-sided coin made up of plot and character. For every plot point there’s a corresponding character arc moment. So I blogged 3 Steps to Creating Character Change where I discuss the hero’s flaw as it presents itself in Act I, causes trouble for the hero in Act II, and is eventually overcome in Act III. Yet even after figuring all that out, I still have trouble wrapping up my stories with a satisfying character transformation. In a story’s finale, not only is the plot resolved and the character flaw overcome, the hero must be changed. And I’ve found that overcoming a flaw isn’t always enough to change the hero. 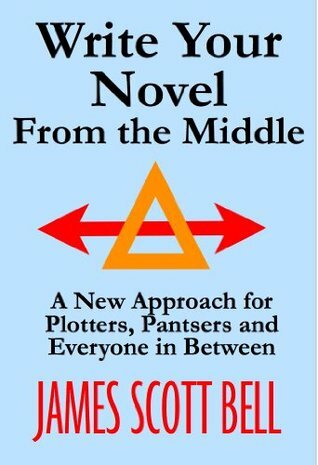 WRITE YOUR NOVEL FROM THE MIDDLE by James Scott Bell. 1) Figure out the hero’s death stakes. No matter how strong the physical death stakes are (i.e. a murderer is literally trying to kill the hero), I think every story also needs psychological death stakes or emotional consequences. It’s easy to spot psychological death stakes in romance – if the lead doesn’t win the heart of his soul mate, he will be lonely and miserable for the rest of his life! His heart will metaphorically die! I find coming up with psychological stakes more difficult in thrillers (the physical death stakes are so high and exciting they can easily take over the whole story), but the ending will resonate much more if the hero has psychological stakes too. 2) Create the hero’s Mirror Moment. Bell explains two ways characters may reflect on their situation, one for plot-driven stories and one for character-driven stories. MIRROR 1: Hero looks in the mirror and considers the incredible odds against him (plot). MIRROR 2: Hero looks in mirror and muses on the person he is now and/or could become (character). (Note: Literal mirror not necessary.) But because I think all stories need plot and character, I say do both! After all, when considering the odds against, the best heroes would naturally lump their own shortcomings in with those odds. This Mirror Moment complements the action that takes place at the Midpoint that I talked about in my Mushy Middle post. Basically, the Midpoint (be it a False Victory or a False Defeat) is powerless without your hero’s reaction to it. The Mirror Moment hones in on who the hero thinks she is, and the Transformation is who she must become to win the Final Battle. Generally, these things are opposites. After reading this book, I realize one of my problems is that I create heroes who are already prepared to win the Final Battle. Figuring out the psychological stakes and creating a Mirror Moment forces me to start with a hero who can’t possibly win and needs to change to do so. What about you? 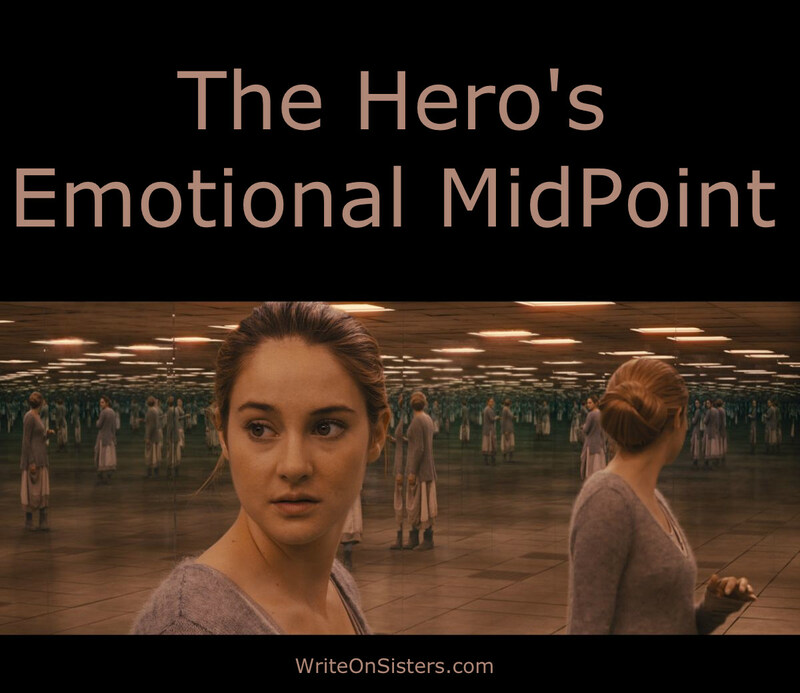 Would a Midpoint Mirror Moment help you figure out your character’s journey? Deepen your story? Finish your book? I hope it helps me with mine! WOS ANNOUNCEMENT: We’re hosting a Princess Bride Blog Linkup Party the weekend of Sept. 24-25. This is your chance to share your thoughts and opinions on this classic tale. Plus, Robin is a HUGE fan and thought it would be fun to connect with other bloggers who love the book/movie. For all the details, click here. What a fantastic idea. I’m wondering if I accidentally do this already. O_o I’m getting this book. “I realize one of my problems is that I create heroes who are already prepared to win the Final Battle.” I think I might create heroes who are already prepared to lose the Final Battle. (I know, I know. Every time I comment, you cringe.) But you always get me thinking. Thank you for that. Haha! Not cringing at all. 🙂 I’m glad the posts get you thinking. Considering our writing – and other people’s writing – from different angles is always a useful exercise. And if you find out you already accidentally write emotional midpoints, great! This is an excellent strategy to understanding that story isn’t just like real life. Real life drags on. Story must conclude. Character must transform before conclusion. Very true! Thanks for the comment, Sharon. It took me three failed drafts to actually figure all this out in my current WIP. Now the problem I’m having with my ending is making sure it all makes sense with the events set up in the beginning. Still, I’m loving this current draft way more than the previous ones, so that’s a plus! That is a plus! It’s a challenge implementing this into my stories as well, but I know it’s making them better, so it’s worth it. Good luck!